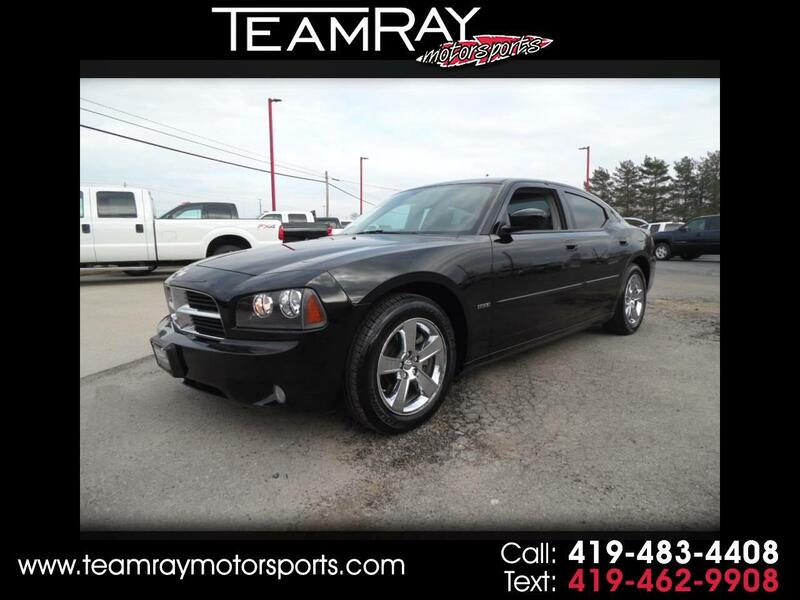 Used 2006 Dodge Charger 4dr Sdn R/T RWD for Sale in Bellevue OH 44811 Teamray Motorsports Inc.
WE HAVE A GUARENTEED CREDIT PROGRAM THAT OFFERS BANK FINANCING FOR EVERYONE!!!!! Visit our website http://www.teamraymotorsports.com for 20 + photos. TEXT KIM AT 419-217-7333 WITH ANY QUESTIONS. Message: Thought you might be interested in this 2006 Dodge Charger. **internet pricing subject to cash deal or pending credit approval** WE DO HAVE SEVERAL FINANCING SOURCES FOR LESS THAN PERFECT CREDIT THAT GIVES US THE POWER TO GET ANYBODY APPROVED ON SOMETHING. MAYBE NOT THIS VEHICLE BUT WITH 100 UNITS IN STOCK WE HAVE SOMETHING THAT SHOULD WORK FOR YOU. FILL OUT A CREDIT APP OR CONTACT KYLE AT 419-483-4408 TO GET APPROVED ON SOMETHING TODAY!! MAKE SURE YOU ALWAYS CALL FIRST BEFORE MAKING THE TRIP. IF WE DON'T HAVE ANY PICTURES IT IS JUST A NEW UNIT THAT STILL NEEDS TO GET THROUGH OUR SERVICE DEPARTMENT AND DETAIL. IF YOU HAVE INTEREST IN SOMETHING WITH NO PICTURES JUST GIVE US A CALL AND WE CAN PUSH IT THROUGH FASTER!!! GET IT READY IN TIME FOR YOUR ARRIVAL.